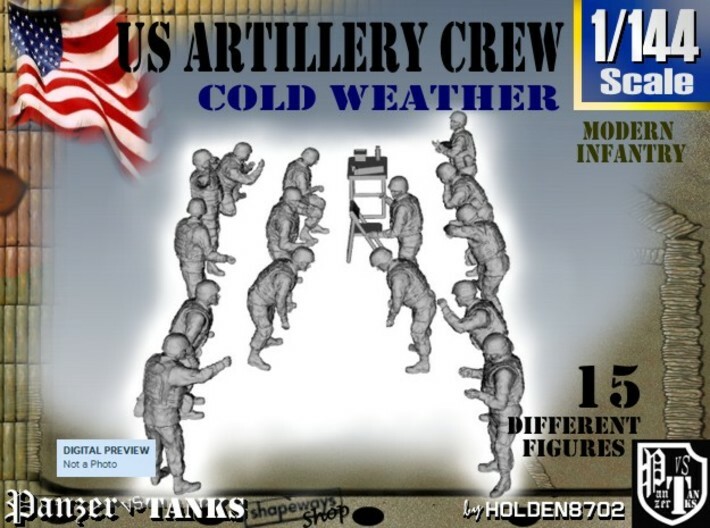 Set of Fifteen high detailed 1/144 Scale Multipose Modern US Army Artillery Crew. Destined to crew an M777 or M198 155 mm. Howitzer. This set includes fifteen figures in varied poses (these Howitzers are manned by 7 to 9 men), with IOTV Vests and ACH Helmets and complete US Army uniforms. 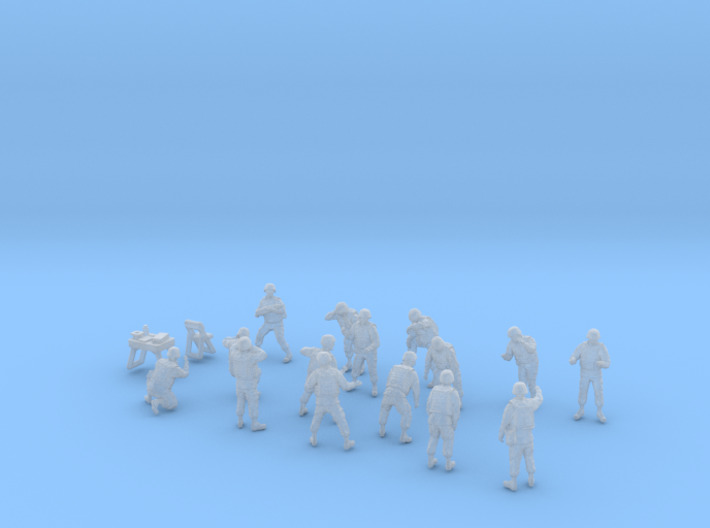 Total 17 parts set, cause I've included table and chair for the radio-operator. Model unpainted. Figures about 12mm. - 0.49 inches tall when stands up.